The CLP-645 has a remarkable sound and feel. 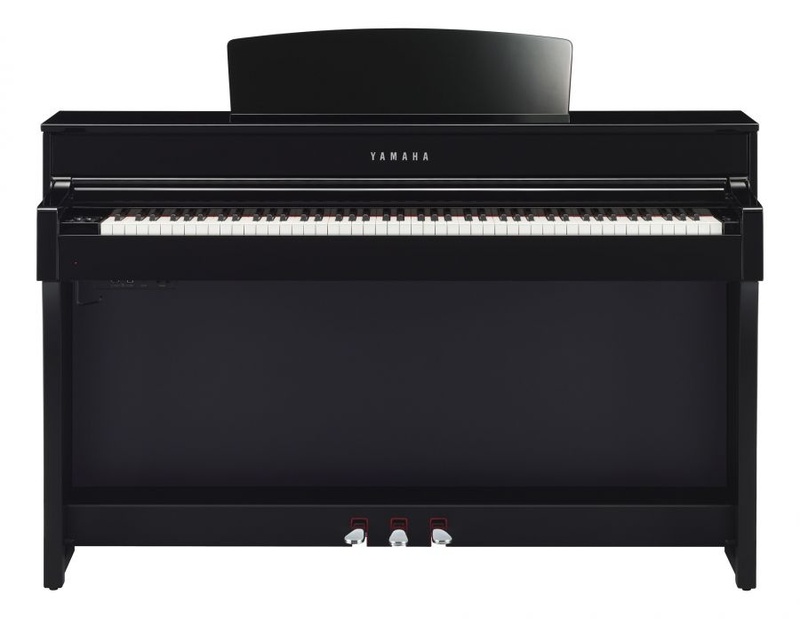 unique within the Clavinova range, the sound of the Yamaha CFX and Bosendorfer is heard through a new two way speaker system consisting of four speakers for absolute clarity and depth. CLP-645 is the only model in the range to include a NWX Natural Wood keyboard with escapement - previously reserved for the top of the range instruments. This is further enhanced with the new synthetic ebony and ivory key tops. This is the point in the CLP-600 range where Bluetooth audio is introducing allowing for easy wireless playback from an external device. Like the CLP-635, the CLP-645 inlcudes 36 sounds, with brand new VRM technology creating the organic resonance of the acoustic grand piano. Further to that, the CP-645 also includes Binaural Sampling for an unmatched headphone experience when playing the Yamaha CFX through headphones. CLP-645 also inherits all of the features of CLP-635, including the ability to connect a USB memory stick to record and play back real audio files, binaura sampling, music rest clips, 30 rhythms and optional wireless connectivity to iOS devices. The step up from a CLP-645 to a CLP-675 is marked by many important changes. An improved speaker system, superior GrandTouch keyboard, and refined cabinet design are just the tip of the iceberg. Many important features are lost when stepping down to a CLP-635 from a CLP-645. The speaker system is reduced by half, and the keyboard action changes from NWX to GH3X. Further to that, Bluetooth audio is not available on CLP-635.